Barry Krischer was born 1943 in Brooklyn, New York, and moved to Palm Beach County in 1973 with his wife and son. He was an Assistant District Attorney in Kings County, New York from 1970 to 1973. He joined the Palm Beach County State Attorney’s Office upon his relocation to Florida, served as Chief Assistant to State Attornet David Bludworth for 10 years. He left that office in 1983. After a stint in private practice, he successfully ran for State Attorney in 1992 and again in 1996. He ran unopposed in the 2000 and 2004 elections. 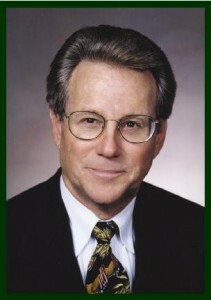 He retired from the State Attorney’s Office in 2009. Mr. Krischer attended Brooklyn College, City University of New York, and received his Law degree from Brooklyn Law School. Mr. Krischer was an instructor at the Palm Beach Community College Police Academy. He has received the pro bono award presented by the Legal Aid Society of Palm Beach County for service to the juvenile justice system for his work with the Child Protection Team, as well as the Peace at Home Award from Gov. Jeb Bush for his efforts combating family violence. He is a member of the New York Bar, Colorado Bar, Palm Beach County Bar Association, and the Florida Bar-Criminal Law Section. He is admitted to practice before the Supreme Court of the United States, and in the Federal Court for the Southern District of Florida. He is past Chairman of The Florida Bar Criminal Law Section, a past Editor for the Criminal Law Section, a member of the Criminal Rules Committee, and a Board member of the National Association of District Attorneys. He is a former member of the National Association of Criminal Defense Lawyers and the American Inns of Court, Palm Beach County Chapter. Mr. Krischer has been married to his wife Eva for 43 years, and has two sons, Mark who resides in Sydney, Australia, and Adam who resides in Washington, D.C. Both sons are married and have blessed their parents with four grandchildren, two each, Ze’ev and Tali, and Noah and Naomi. Upon retiring from public office he is volunteering two days a week at the Palm Beach County Sheriff’s Office Legal Department, and was most recently elected to the board of the Children’s Home Society. He remains active in child welfare issues through his work with the Palm Beach County Alliance as well as Department of Children and Families. 2014 – Charles B. “Chuck” Morton Jr.
2009 – The Honorable O. H. Eaton, Jr.
1991 – T. Edward Austin, Jr.
1990 – Honorable Marvin U. Mounts, Jr.